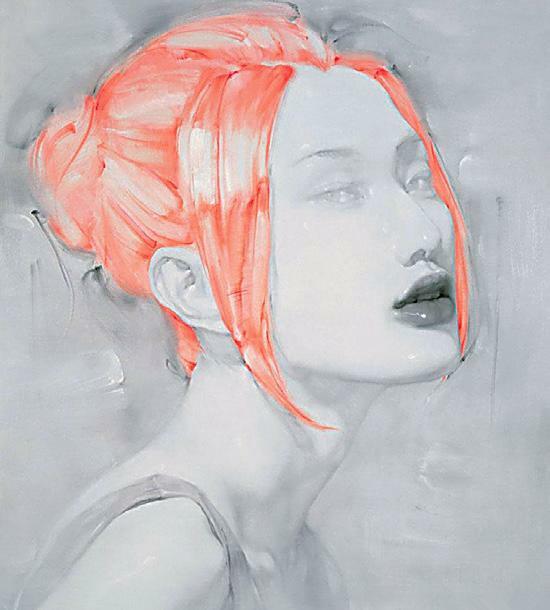 Female artist Liu Hong centers her work around female subjects. A recent solo exhibition of Liu’s latest work was held at Shenzhen’s e Museum of Contemporary Art from March to May 2016. Titled “Face: A Visualized Era of Living,” each piece quickly catches the eye, with a focus on portraits of young and vibrant women, mixing flashy hair colors with challenging expressions on monochrome faces set against sketched backgrounds. Active in China’s art scene since the early 1980s, Liu Hong has traditionally focused on raising awareness of gender issues in modern Chinese society. As gender politics have been watered down, and misogynistic esthetic standards imposed on women have endured, Liu’s exhibition looks beyond the “flashy standards” of China’s millennial generation.